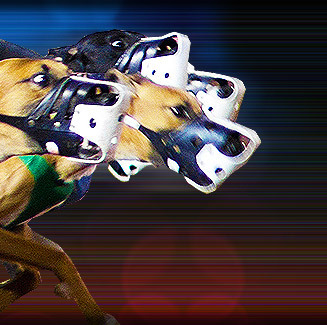 Seabrook Greyhound Park is known to fans as the "House of Action" because of its fast and furious greyhound races. Seabrook Greyhound Park pioneered the rewards program for visitors. These programs include give-aways, door prizes, low-cost get-aways for couples, and business club trips, all of which have been emulated by other race tracks through out the world. Seabrook Greyhound Park is located at State Route 107, Seabrook, New Hampshire, USA. Seabrook Greyhound Park opened in July 2, 1973. The opening was exactly 90 days after the first bulldozer cleared trees for the park's construction. Seabrook greyhound Park originally planned to operate during the summer season only. But race patrons demanded the track open year round. Seabrook Greyhound Park is operated by Yankee Greyhound Racing, Inc., the brainchild of Edward J. Keelan, Dr. Thomas F. Carney and his brother Joseph Carney Jr.
Keelan is regarded as one of the foremost promoters of the greyhound racing industry while the Carneys were associated with two Florida tracks, Pensacola and Key West.